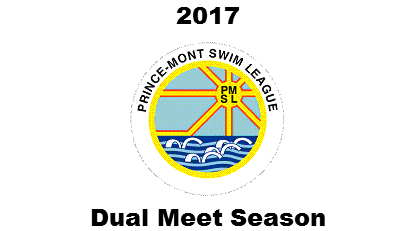 The Prince-Mont league completed their 5th week of dual meet competition July 15th, and each team is preparing for their Divisional meet on the 22nd. In division A, Theresa Banks was able to sweep their opponents, but it wasn’t without a fight- in weeks 1 & 2 Adelphi and Takoma Park put up a good fight, Theresa Banks eased by Adelphi by 30 and in the matchup with Takoma splashed through with a win by 5! The division championship meet should be a close one. In division B, MVP, Hawthorne and Smallwood all started strong weeks 1 & 2. In week 3, only Hawthorne remained undefeated as MVP was taken down by Kings Landing and Hawthorne handily defeated Smallwood. Week 4 saw MVP rebound with a win over Smallwood and Hawthorne continued to roll with their win over Belair Bath and Tennis. In the final week of dual meet competition, Hawthorne secured their undefeated season by defeating MVP by a margin of 25. Smallwood and MVP finished with 2 losses, but will surely be in the mix for the divisional meet. Division C saw the Russett Sharks run the table with a 5-0 record. Montpelier bounced back quickly after a loss in week 1, to finish the season 4-1. They were consistent in scoring over 300 points in their wins & likely will put up a great challenge to Russett in the divisional meet. The Cheverly Dolphins had a nail-biting season, with wins of 8 and 28 the first two weeks and a loss by 8.5 the 3rd week. Cheverly was able to muster a win in week 5 to finish the season 3-2. The division C championship meet looks to be up for grabs! In division D, the PGP Killer Whales finished with a 5-0 record, besting the runner-up Belair Swim and Racquet in week 1. Belair lost to PGP by 20 points, then soundly defeated the rest of the league to finish 4-1. The showdown between PGP and Belair should be fun to watch at the division meet! The Accokeek Gators and Severn Crossing were the class of division E, with both teams going 4-0 through the first 4 weeks of the season. The 5th week pitted the two teams and sure enough it was a battle, with Severn Crossing nipping Accokeek by 4 points! Laurel City and Brandywine were the top teams in division F throughout the season. The difference between the two came down to 1 point in week 4! Laurel City escaped the matchup with Brandywine to remain undefeated and set up what is to be a spirited rematch for the division meet. To get psyched for your division meets, and upcoming All Star competition, check out the Prince-Mont Top Times lists. 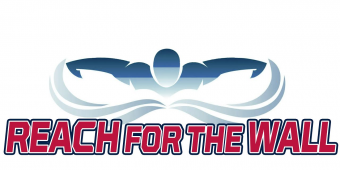 If you want to see how your times stack up against the NVSL and MCSL swimmers, check out our Swimmer Rankings. You can filter by age group, date range, stroke, and distance. In the Advanced Search, you can further filter by league, division and team to see who’s tops! Good Luck this weekend at your divisional meets!